Haier’s GWT460AW Energy Star washing machines gives you multiple features and superior washability in a simple and convenient format. These washers will keep your clothes looking new, with gentle methods that lengthen the life and wear of all of your favorite outfits. Haier’s top-load washers are gentle on your back and your laundry. This full line of laundry products is complete with everything you need to produce clean clothes, no matter what you’re washing. 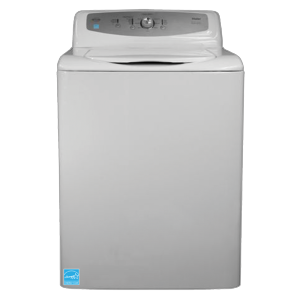 Multiple settings and convenient features make doing your laundry easier than ever.